Tata Motors is not only in the passenger vehicle segment but is also known for known for defense vehicles also. Recently, the car maker has made a successful delivery five Mine protected vehicles or MPVs to Jharkhand Police force in order to strengthen the security level. These five defense vehicles were delivered to the Director General, Jharkhand Police, Mr. Gaurishankar Rath, in the presence of Inspector General of Jharkhand Police, Mr. Rajkumar K Mallick, Additional Director General Mr. Bibhudi Bushan Pradhan, Managing Director JMA Stores Mr. Dinesh Parikh and Head Government Sales JMA Stores Mr. Sanjeev Shrivastava. The handing over of the vehicles was done at the Jharkhand Police Headquarters in Ranchi, by the Head, Defence Sales, Tata Motors Mr. Sandeep Saigal. Tata Motors Defense Solutions is well-known for offering complete range of armored and logistic vehicles, which have been prominent in assisting the police force and paramilitary forces in the country. Apart from delivering Tata MPVs to the Jharkhand Police, Tata Motors have already got another big order from Maharashtra State Police. Here the company will deliver about 32 Tata MPVs. 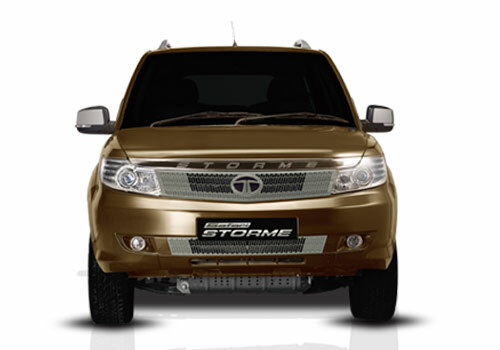 It is to be mentioned here that Tata is also planning to launch Tata Safari Storme for the forces in near future. 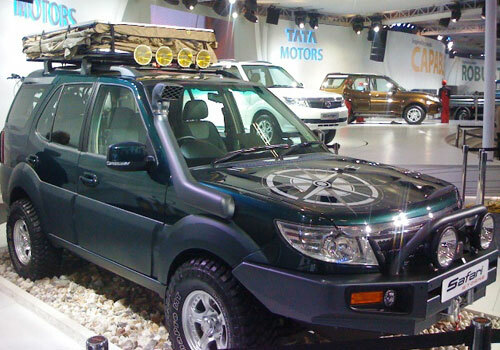 The Tata Safari Storme GS 800 was displayed at 2012 Defence Expo in India. Talking about the details of Tata MPV, the vehicle comes with V-shaped hull blast protection technology that is best for the security operations and has modular flexibility. The vehicle body is strong and is capable of safe guarding the passengers from any kind of violent attack, mines or gunfire. The company has amplified its dealership network in Jharkhand and is trying its level best to meet the needs and requirements of Tata MPVs guaranteeing unproblematic accessibility of spare parts. The company’s service network assures lower maintenance cost of its defense vehicles in the country. Furthermore, Tata Motors also has the talent to marshal-up ample of manufacturing capacity for its defense vehicles accompanied by skilled manpower.